Having one of the most advanced equipment on the market for testing and certifying the performance of structured cabling UTP, STP, SFTP and FO, LANTEK III, a product of IDEAL Industries USA, our company offers its partners and customers the testing service and performance certification for Cat5, Cat5e, Cat6 and Cat7 cabling. 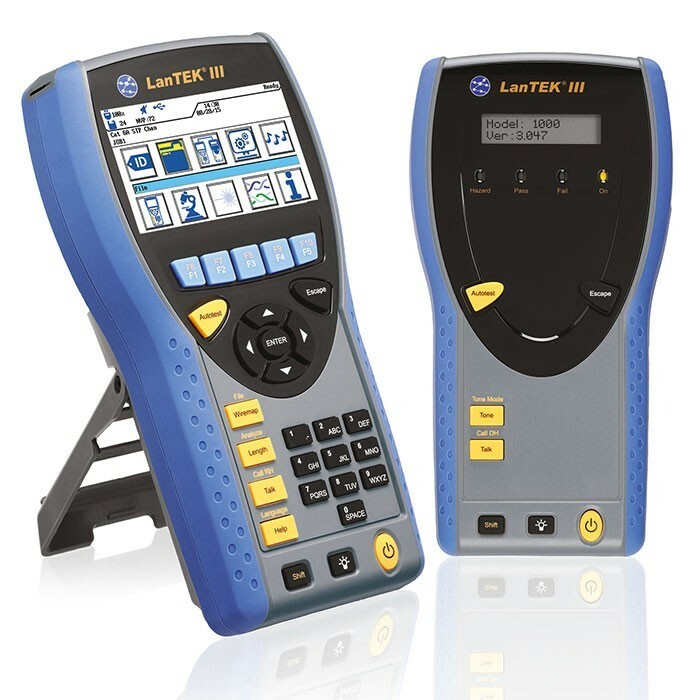 The LANTEK III range of LAN portable analyzers is available for measurement, certification and test at great-value or device rental together with a testing engineer. Testing is accompanied by automatic documentation for each measurement, ie electronic file with all tests and measurements.